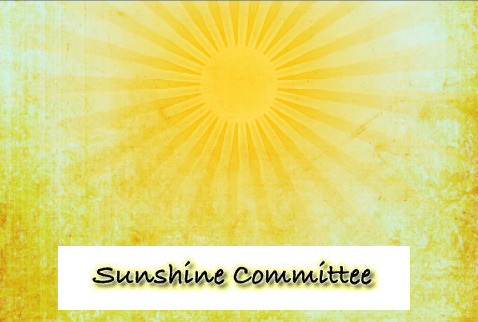 The Sunshine Committee shall report to the Chapter, at each meeting, the plight of any members who are ill, in distress or incarcerated, or the birth of a member’s child. The committee shall be empowered to act with Presidential approval, in any reasonable manner to convey to the member, or said member’s family, the best wishes of the membership. This may be accomplished by sending cards, flowers, or fruit (etc.). The Treasurer is empowered to finance such actions to a maximum of Fifty dollars ($50.00) for each occasion.